I was out of town for almost two weeks on a business trip and haven’t had much chance to sew. I did bring some wool applique with me on the plane, but didn’t really get much done. There is only so much room in the middle seat. I have some things in the works as far as sewing/quilting goes and will be giving more details in the next few weeks. I am still plugging away for the November sewing club pattern – it should be ready this week. It’s an apron pattern, and if there is time, it will include dimensions for a child’s size as well. In the meantime, here are some bags that I completed last fall. Which one do you like best? This is the Black Forest bag (pattern by Melly and Me). I resized the pattern so it was more of handbag size. 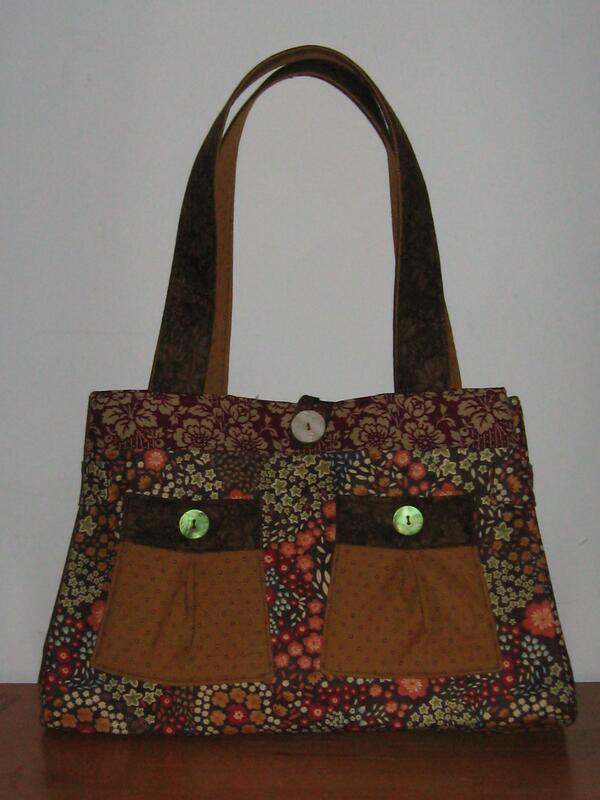 This is one of my favorite bags – I love the fabric and the color combinations. The Miranda Bag pattern is by Lazy Girl Designs. 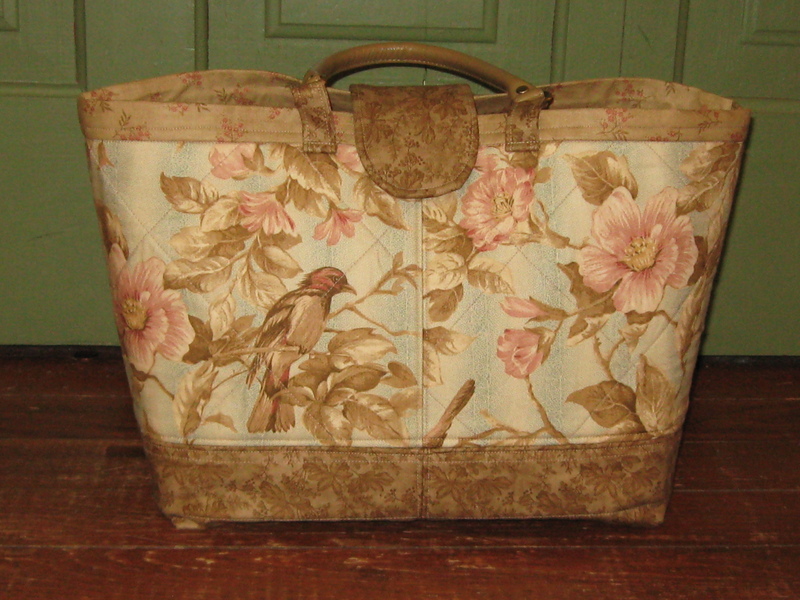 This is a roomy tote with 12 pockets inside. People always like this bag because it is the perfect size for carrying books and files, but it looks very stylish. This is a tote made from a charm pack. I can’t remember who did the pattern, but will let you know when I do remember. Charms are a lot of fun to work with and they are so versatile. It took more time for me to decide how to arrange the charms for this bag, then it did to actually sew it! 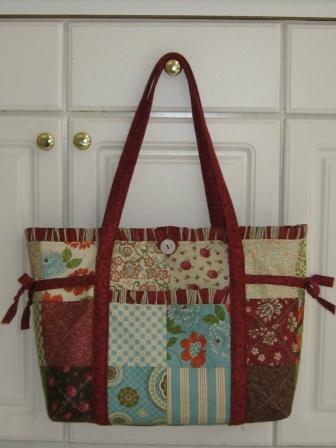 This is a good bag for taking to sewing class since it is roomy enough to hold fabric, pattern, notions, rulers, etc. Thanks Laura! The Black Forest Bag is my favorite too. I really like the Miranda bag.